Ritamäki is the best preserved Finns courtyard in Värmland and has a "rökstuga" in the original style, ie There is no Swedish influenced part. Open in summer. 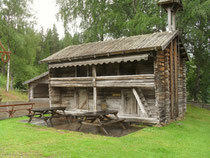 Karmenkynna, Kollsberg, Dalby are just some of the many local open air museums (Hembygdsgård) which can be found in the area. 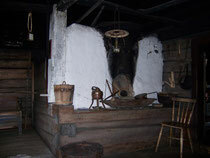 They consist of dozens of old buildings that tell the story of each of the region. In the summer months are often held here Celebrations with live music and food.